Because I live in Tallahassee (some would affectionately call it Hooterville) I do not hear or see many campaign ads compared to the ones aired in Central and South Florida. And for those who know me really well, I don’t see or hear much because I rarely watch TV and when I’m in the car, I rarely turn the radio on. I started the habit of a peaceful home setting and car ride telephone chats several years ago and have never looked back. While my philosophy may be different than yours, I find that enjoying my outside garden with friends in person when I am home or on the phone and engaging in conversations when I have windshield time, is a great way to pick up the news. In fact, I banned a sofa in the house much to my family’s chagrin so that “sofa sinking” could be avoided and, well you know what a sofa can do! On a recent road trip of several hours, I had occasion to call several clients and friends that are following Florida and national politics. I was fascinated by what I heard and sort of did my own political poll. While I won’t use any names, there is one thing I can tell you. Nobody knows the answers to which candidates will prevail for sure until the primary is in the books, but there is one undeniable fact: Election Day in Florida is every day until Aug. 28. And for those who check a box early using a mail ballot, it doesn’t matter how they feel in five weeks. What matters is now. I look forward to having conversations with you and listening to your views in the coming weeks and always appreciate working with you off the couch! We’re still waiting this Monday morning for the U.S. Senate to take up a measure passed last week by the House of Representatives that would extend the National Flood Insurance Program (NFIP) beyond its scheduled expiration tomorrow at midnight. Hanging in the balance is the fate of tens of thousands of real estate transactions that rely on flood insurance to proceed. The House’s short-term extension is the seventh in the past two years, as real reform of the debt-ridden, outdated, and increasingly expensive federal government program somehow remains elusive. Meanwhile, we have a clearer picture of just how much Hurricane Irma claims have cost the NFIP. FEMA reports that as of July 12, it had received 33,111 NFIP claims for flood damage from Irma. Payouts from those claims amount to $1.1 billion to Florida policyholders, with the average closed claim payment being $49,740. The paid to unpaid closed claims ratio is 9:5. Four zip codes in the Florida Keys turned in between 1,000 to 1,800 claims each, the most in the state. Three areas south of Jacksonville – Flagler Beach, St. Augustine Beach and St. Augustine – had the next highest number of flood claims, with about 600 claims each. NFIP is on the hook to pay the entire amount, given it exhausted its 2017 reinsurance program because of the horrendous losses from Hurricane Harvey in Texas. That $1.1 billion in Florida claims, should it happen in a storm this year, would be below the threshold for the NFIP’s first flood catastrophe bond, currently being issued for 2018, according to Artemis. The FloodSmart Re Ltd. (Series 2018-1)transaction, currently at $275 million, is designed to protect the NFIP from excess losses from named tropical storms and hurricanes. The NFIP replaced the exhausted 2017 reinsurance program in January with a beefier program costing $1.46 billion, purchased from 28 private market reinsurers. Here’s hoping for a quieter 2018 Atlantic Hurricane Season, which the latest predictions now call for! Whenever we get the chance here at LMA, whether it be to legislators, the news media, or policyholders, we’re always preaching the wisdom of investing in mitigation. It’s especially true for commercial properties. FM Global, one of the world’s largest commercial and industrial property insurers, reports that for every $1 a business spends on hurricane protection, it reduces its loss exposure by an average of $105. Those figures are based on an analysis it did of more than 10,000 wind and flood related investments and their associated reduction in property loss and business disruption exposure for 1,800 clients around the world from 2008 to 2017. The estimates were calculated based on actual losses that occurred at tens of thousands of properties insured by FM Global. To help minimize the effects of costly wind damage, the insurer advises that organizations should have backup power generators ready, rooftops inspected and secured, doors braced, windows covered, and vulnerable objects put away or strapped down, including rooftop equipment and solar panels. 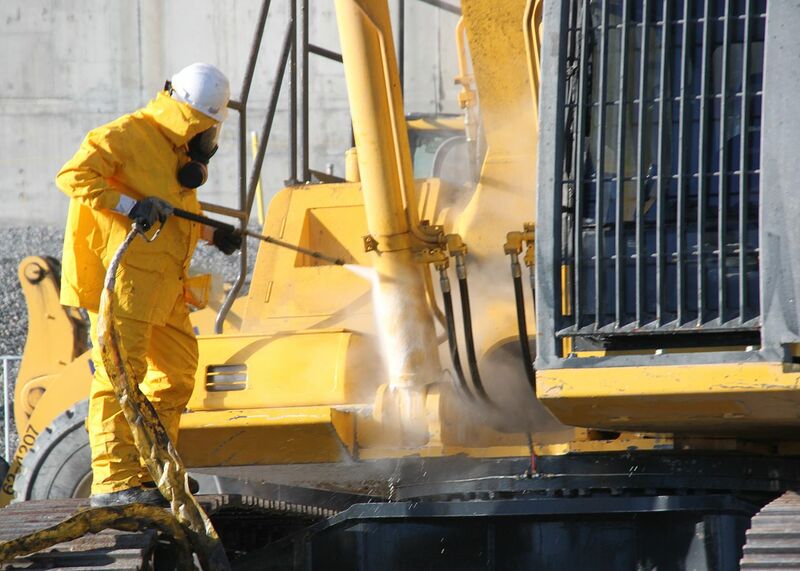 Businesses can prevent costly flood damage by elevating or sealing off valuable equipment, fastening storage tanks, inspecting fire protection equipment, and preparing to turn off utilities. Flood protection products that meet rigorous certification testing standards can reduce the need for sandbags. FM Global’s approach combines property loss prevention with insurance protection. That’s a good lesson to teach homeowners too! As for savings for residential properties, it’s one we’ve memorized: FEMA estimates that for every $1 spent on pre-event mitigation, $6 is saved in insurance claims. Some of these mitigation measures are so simple, there really should be no excuse why homeowners and commercial owners don’t have these in place as we entire the heart of hurricane season next month. Are you ready? This past Friday’s terrific news of national 2ndQuarter economic growth of 4.1% comes after even greater news closer to home: Florida’s economy has hit the $1 trillion mark, making the Sunshine State the world’s 17thlargest economy! That’s bigger than Switzerland, Saudi Arabia, Argentina and the Netherlands. As goes the economy, so goes competitive markets for consumers in the insurance space. The big news comes on the heels of last month’s announcement by Moody’s that it had upgraded Florida’s General Obligation bond rating to Aaa – it’s highest rating and the first time Florida has achieved this in its history. Job growth, lower unemployment, modest regulation, and an improved education system are all being credited. The Florida Chamber of Commerce issued a press release on the news, citing manufacturing sector expansion as one of the key drivers, growing faster here than in the rest of the U.S. The chamber praised the state’s political, business, and community leadership for this strong economic growth, but noted that challenges remain for Florida to become even more globally competitive. “Consider that while achievement gaps are closing, 43 percent of 3rd graders aren’t reading at or above grade level. And while 1 in 14 jobs in the nation are created in Florida, our state’s 14.8 percent poverty rate includes 21.3 percent of children under age 18. While Florida is better than most states in these areas, the Florida Chamber will continue to lead reforms that create economic opportunity,” according to the Chamber’s press release. The Chamber has launched its “Florida 2030” initiative to address those problem areas, building on its past research efforts and statewide community forums from previous projects. With the good news about Florida’s economy comes concern among business owners on one of the key inputs to production: labor. More specifically, skilled labor. The latest Florida Chamber of Commerce Small Business Index Survey shows workforce quality and economic uncertainty continue to be the top concerns of Florida’s job creators. “Businesses are telling us, loud and clear, that in order to grow, they need access to a talented workforce,” said Dr. Jerry Parrish, Chief Economist and Director of Research for the Florida Chamber Foundation, which produces the quarterly survey. “But it’s important to note this Small Business Index shows that businesses are also steadily more concerned about the impact government regulations have on their ability to grow. In order to remain competitive, we should continue to create a business friendly environment that provides businesses the opportunity and resources to grow and succeed,” he said. The chamber notes that a positive sign of business confidence is that 31% of survey respondents indicate confidence in the direction the state is taking to make Florida a better place to conduct business. That’s up from 21% one year ago, and 19% from two years ago. Of those surveyed, 45% expect to hire in the next six months, and 44% expect to make investments in plants or equipment- both good signs for continued expansion of Florida’s economy, according to the report. The Florida Chamber’s Small Business Index Survey was conducted electronically June 13, 2018 through July 13, 2018. 48% employ five to 49 employees, while 26% of respondents employ less than five employees. Click here to view the full report. What do you get when you take a large but self-contained retirement community where most folks prefer not to drive and then add a fleet of autonomous vehicles? You get the perfect test market for developing driverless car insurance. And that’s exactly what Canadian insurance company Intact Financial has done in the The Villages, Florida. 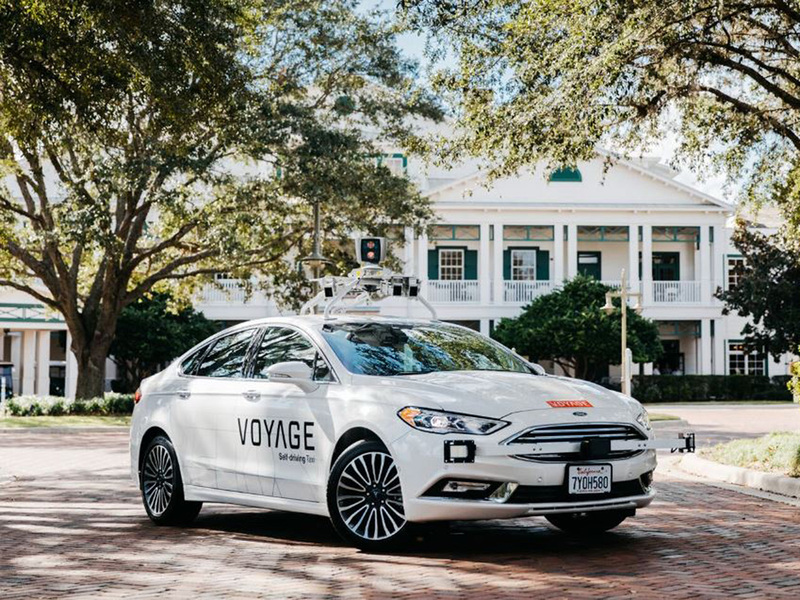 The Toronto-based insurance company has teamed up with autonomous vehicle (AV) startup Voyage out of San Jose, California to run what is currently a fleet of 12 vehicles throughout The Villages, north of Orlando – one of the largest retirement communities in the country. The scene is picture perfect: 750 miles of private roads and a fleet of Voyage AVs serving as taxis, providing on-demand service for the 125,000 residents. The taxis are equipped with Lidar sensors that help the car’s computer navigate by creating a 3-D map of the roadway to identify objects such as other cars, golf carts (a favorite mode of transportation there among seniors), cyclists, and pedestrians. The AVs send data from their travels to a team working in the machine learning division at Intact Ventures, the company’s Montreal research arm. They are compiling the data into real-time risk profiles, based on the variety of situations and circumstances the AVs encounter. From that, they are developing an underwriting process and resulting risk-pricing. The companies told Bloomberg that the idea is to be able to charge less for less dangerous driving situations and price higher for higher-risk scenarios. As we’ve previously reported herein the LMA Newsletter, Florida has quickly become a leader over the past two years in the development of AV technology and testing. So what perfect sense this makes to become a testing ground in driverless insurance pricing as well! Much is at stake for the automobile insurance market, which last year took in a reported $230 billion in premiums revenue. With computer-driven AVs predicted to be nearly accident-proof one day, there’s little margin for error when it comes to pricing our automobile insurance of the future. Amendment 11is actually three proposals in one amendment, but centers around eliminating discriminatory or obsolete sections of the constitution. It would eliminate a ban on non-citizens from owning land; establish that any repeal of criminal statute is not retroactive; and delete a provision regarding high-speed ground transportation. The amendment eliminates a 1926 ban on aliens ineligible for citizenship from inheriting or otherwise owning real property. Known as an alien land law, the concept was invalidated by the U.S. Supreme Court in 1952 but remained on the books in Florida. It would also revise language to make clear that the repeal of a criminal statute does not affect the prosecution of any crime committed before the repeal. But at the same time, it strikes current language that provides that same protection from statues that are merely amended – and that current protection applies not only to prosecution but also punishment of a past crime. So Amendment 11, while clarifying, also removes a current prohibition on retroactive application of changes in criminal law on punishment. Amendment 11 would also remove obsolete language that directed the state of Florida to develop a high-speed rail system. Approved by voters in the 1990’s, the provision was later repealed by voters, but remained on the books. Amendment 11 was placed on the November ballot by the Constitutional Revision Commission, a group that meets every 20 years to consider changes to the state constitution. You can read more here on how this proposed amendment was created. Meanwhile, three of the 13 proposed amendments are now facing court challenges. Broward and Volusia Counties have filed separate lawsuits alleging that Amendment 10fails to explain that its passage would overturn local home rule choices made by voters in those two counties – as well as in Miami-Dade County – that all appoint certain county officers. The Florida Greyhound Association had its initial day in court this past week, seeking to strike Amendment 13, which would eliminate greyhound dog racing in Florida by the year 2020. The association, which represents greyhound breeders, owners, and trainers says the amendment is misleading and would still allow wagering on races outside of Florida. All proposed amendments to Florida’s constitution require a 60% majority vote to be approved. As many of our readers are Floridians, it’s important to know how each of these measures can affect us and our families, businesses, and employees. Knowledge is power! In closing this edition, I hope you will take to heart that sitting idly by and hoping things will get better – whether in your personal, professional, social or political life – just isn’t an option. 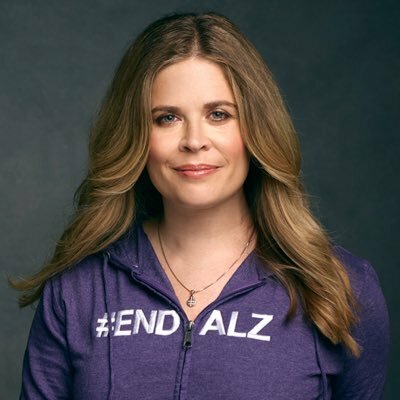 Believe it or not, I follow Jennifer Lee, who we know as the Disney screenwriter. You can read her life story, but she is part of what I call the inspirational younger generation. One of the most enlightening themes of hers is to be fearless in the pursuit of what sets your soul on fire. It doesn’t matter what it is, get in the middle of it as we say in the South. I would love to hear from you as to what sets your soul on fire, and if you will permit me, to share some of those stories anonymously with our many readers.